The National Assessment Program – Literacy and Numeracy (NAPLAN) assesses all students in Australian schools. For more information on NAPLAN please visit the NAPLAN website. NAPLAN results are kept by the Australian Curriculum, Assessment and Reporting Authority (ACARA) who are an independent statutory authority and hold information about all Australian schools. Children in Year 3, 5, 7 and 9 undertake NAPLAN, which provides a snapshot of your child’s achievement against the nationally set literacy and numeracy assessment. A report of your child’s NAPLAN results and additional information will be available to you. This snapshot is also collated as a school achievement and overall results can be found on the myschool website. 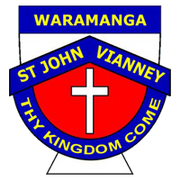 The NAPLAN scores over the past years for St John Vianney’s have shown growth in student achievement from year 3 to 5 and this is considered as a positive reflection of progress. NAPLAN provides teachers with valuable diagnostic information about individual students in vital literacy and numeracy skills. While this is very important, keep in mind that schools teach many things other than the ‘three Rs’. Be careful of attaching too much importance to individual numbers alone, such as NAPLAN scores. They give good information but are only a small part of the picture. Individual pieces of data represent a snapshot of a point in time – NAPLAN represents how a group of students went in one test on one day. Resist the ‘league table’ idea. You can’t rank schools from 1 to 10,000 based on a single number. There are too many factors to take into account and they can’t be reflected in a single number or listing. In addition, a league table only shows where students are now, not how far they have come, so a school’s good work with disadvantaged students may be hidden.